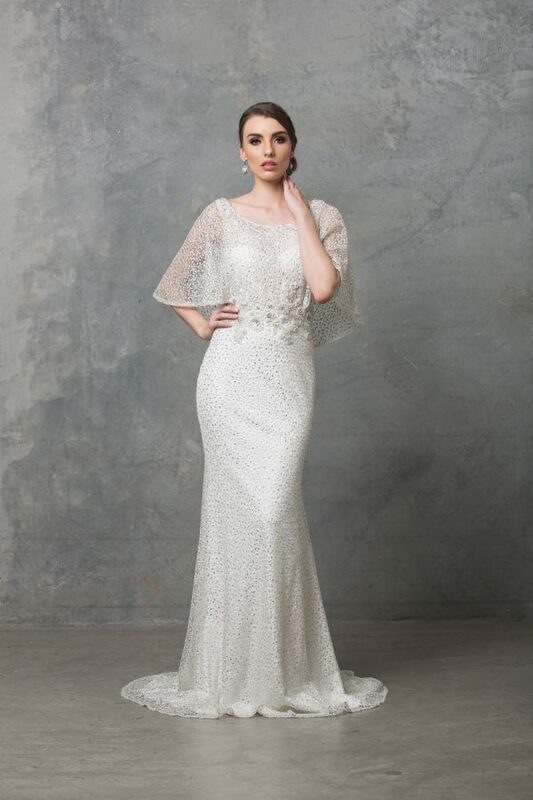 Dress your arms in the Abigail Beaded Lace Wedding Dress featuring delicately beaded full length sleeves with a lace scallop edging. This modern fitted silhouette is for the sophisticated bride. 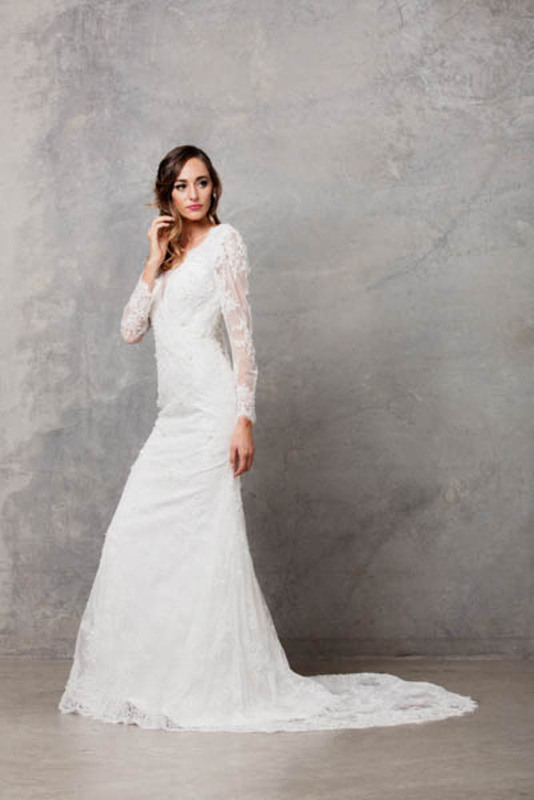 The Abigail Beaded Lace Wedding Dress is for the modest bride looking for a modern style bridal dress. 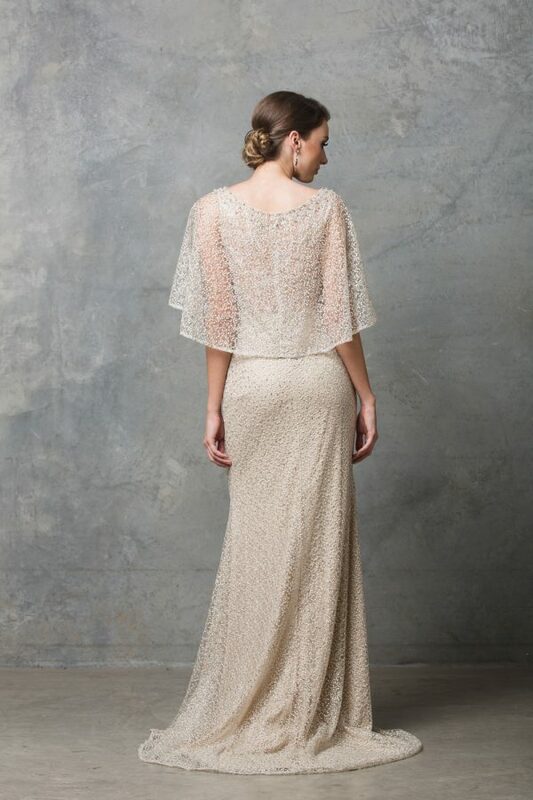 Featuring a full lace beaded sleeve with an natural lace edge hem. With a deep v front neckline held together with a sheer mesh for a modest fit. From the shoulders through to the skirt is fully lined and structured followed through to a structured strapless under bodice back with button and loop closure. 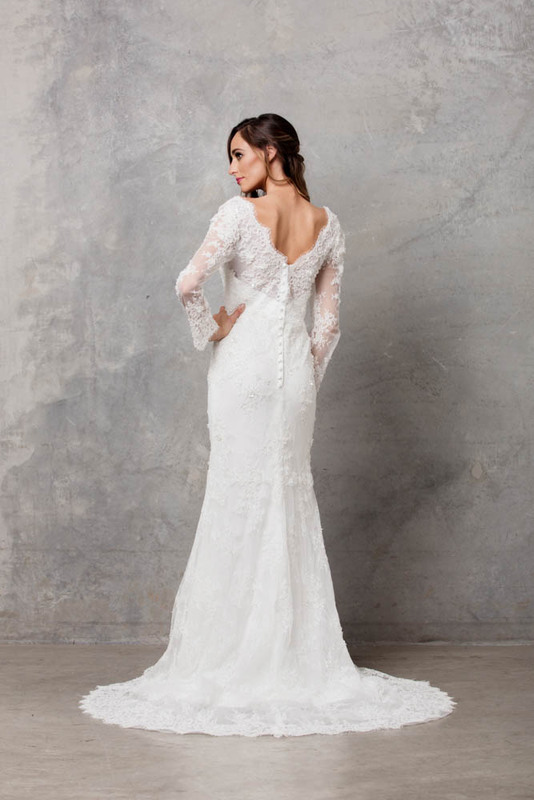 The upper bodice shoulder and sleeve are structured from corded lace and tulle.